This site is dedicated to reviews of speculative fiction books. I will review any book that appeals to me in any speculative fiction subgenre, but I mainly read fantasy and science fiction, including young adult fantasy and science fiction. While I occasionally read horror (if it’s not gory) or paranormal romance, I do not read them that often. 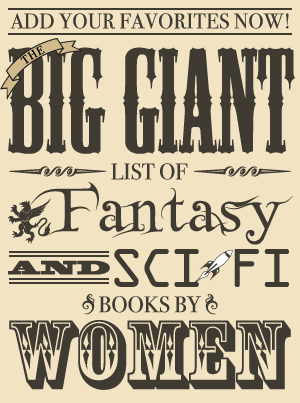 I especially enjoy dark fantasy, fantasy influenced by world mythology, and space opera. Character driven stories are my favorite kind, and books with a lot of action and little characterization do not usually interest me. I do like fantasy and science fiction with a romantic subplot even if I don’t read a lot of SFF romance so I am happy to consider books with romance. I do not like zombies. I occasionally read short fiction, but I usually prefer to read novels or novellas. My favorite book of short fiction is the beautifully written Wonders of the Invisible World by Patricia McKillip to give you an idea of what types of short stories I do enjoy. Examples of books/series I’ve particularly enjoyed: Warchild by Karin Lowachee, A Taste of Blood Wine by Freda Warrington, A Song of Ice and Fire by George R. R. Martin, anything by Laini Taylor, The Last Hawk by Catherine Asaro, Transformation by Carol Berg, Tigana by Guy Gavriel Kay, Wraeththu by Storm Constantine, the Kate Daniels series by Ilona Andrews, Uprooted by Naomi Novik, The Killing Moon by N. K. Jemisin, Yesterday’s Kin by Nancy Kress, Fire by Kristin Cashore, Generation V by M. L. Brennan, and The Forgotten Beasts of Eld by Patricia McKillip. There are a LOT of books I want to read, and I prefer reading print books. I almost always purchase print books, and I have many of these I want to read. For this reason, I only accept ebooks on rare occasions, usually only when I’m familiar with the author’s work and excited about reading their book. Please do not send ebooks to my email address as part of your review request. Although I will consider books from small presses, I do not accept self-published books for review consideration unless I have read and enjoyed other books by the author. If I’ve positively reviewed a book by the same author or expressed interest in their book(s) on this site, I might consider it, but that’s the only case. Sending me a book does not guarantee a review; it just means I will take a look at the book and consider reading and reviewing it. Occasionally, I do write about books I do not finish. In these cases, I state that I did not finish the book and discuss the reasons why. I have always read at least 100 pages before posting about one of these books. Sending me a book does not guarantee a positive review. I do try to review every single book I read whether I liked it or not; however, I will try to be fair and mention both what I liked and what I did not like. I do not write reviews that need to be posted on a set date (for example, as part of a blog tour). Reading and reviewing books is something I do in my spare time when I’m not working at my job, doing laundry, cooking dinner, etc. It’s a hobby, I have a limited amount of time for it, and I don’t find it fun to have to fit in reading/writing on a deadline during my spare time so I have a policy of not setting review deadlines for myself. If you do have a book that fits the guidelines for review consideration that you would like to send me, you can contact me at kristen AT fantasybookcafe dot com. (Please note that I do not have time to respond to every review query I receive. If you do not hear from me after two weeks, I am not interested.) If you have a link to an excerpt from the book, it would be great to include it with your request. Please do not ask me if I want to review your book on Twitter. If you want submit a request, please email me some information about the book and why you think I might want to read it. Interviews are rare and I will only consider interview requests if I’ve already read and enjoyed books by the author. Guest posts are usually by invitation but not always. If I’ve read and enjoyed an author’s work, there’s a good chance I’ll accept a request for hosting their guest post. I only occasionally accept guest posts by an author whose work I haven’t read, but if the book sounds interesting or I’ve read other blog posts by the author that were interesting, I may accept. Please do not email me to ask about contributing a guest post in exchange for a link back to a site, especially if that site has nothing whatsoever to do with science fiction or fantasy books. I get a lot of these requests, and I am not at all interested in this. As mentioned with review requests, I am not able to respond to every query I receive. If you do not hear from me after two weeks, I am not interested or do not have enough time in my schedule.